Q: (L) Now, could you tell us a little bit about the purported “Photon Belt”? A: The key issue remains one of interpretation. The messages are genuine; interpretations are variable in their accuracy. So, when one speaks of the “Photon Belt,” one may really be thinking of a concept and giving it a name. Q: (L) So, you mean that various persons are seeing something and only describing it within the limits of their knowledge? A: At one level, yes. Q: (L) Was there a harmonic convergence as was advertised within the metaphysical community? A: For those who believed there was a harmonic convergence, indeed there was a harmonic convergence. Q: (L) Did anything of an objective, material nature happen on or to the planet to enhance or change the energy? A: Did you notice any changes? Q: (L) No. Except that it seems that things have gotten objectively worse, if anything. A: Did you notice any clear, obvious, material changes? Q: (L) No. But that could just be me. I could just be a stubborn and skeptical person. A: Did anyone else in the room notice any clear or obvious changes? A: Well, obviously if the recollection of the calendar date was difficult, one would suppose that material changes on the planet did not take place. For, if they had, would you not remember the calendar date ascribed to them? Q: (L) Yes. The claim has further been made that, for a month, following the harmonic convergence that no abductions were taking place. Is this true? A: No. There has been no cessation in what you term to be abduction in quite some time as you measure it. In our efforts to maintain accuracy and purity of the source, we have consistently resisted the standard channeling techniques of trance or telepathy, etc. It is far too easy to substitute subjective, emotional thinking for objective reality, particularly when the objective reality is, from the human perspective, unpleasant. As you will have noted in the previous discussions, there is greater potential for corruption when there is also a great deal of verbiage. In other words, it seems that the wordier the source, the more easily corruption can enter it. Aliens will invade in some form or other between now and 2018  or something, causing even more fear and confusion than there is already, then try to take us over or annihilate us or let the earth changes do that and then seed earth with their own race. About the same time this is all happening the wave will strike and half of the world or more (people and land mass) is wobbling in and out of 4th density and then transitions completely. Those of us who have not been wiped out by earth changes or the busy Lizzies and gone to 5th density dead zone (there to decide what to do next) will find ourselves in 4th density earth which will look very weird to us and will take some getting used to, only to find ourselves in the same situation environmentally, [with] 4th density Orions or Lizzies trying to manipulate and control us there as they have been doing here for millennia. As a way of dealing with this issue, I want to present here sections of a particular session in which an experience of my own was being discussed (the same incident described in High Strangeness). To give you a little background, as I have said before, I do not ever remember seeing or experiencing an alien being or an abduction that could be clearly stated to be such — although at one point, I did have an experience in an altered state of consciousness that I have never been able to decide whether it was physical or imagined. I also have made disconcerting discoveries about my state when awakening, or have dreamlike memories of very strange things, which then corresponded to some sort of physical or material anomaly that I would immediately sweep under the rug. But, in the case I want to talk about here, I did wake up in the night — in an extraordinary state — to very strange activity. The background of the event is that I had been in an auto accident on Christmas Eve 1994. The accident itself was strange because I was hit from behind by a car that was not there. I was stopped, waiting to make a left turn, looking in my side view mirror, which gave me a broad view of what was behind me, and I am certain that no car was approaching. What is more, the driver of the car that hit me driving at full speed, claimed with great puzzlement that he did not see me at all. For him, I was not there! His car was completely destroyed, but he had an airbag and was not hurt. I, on the other hand, suffered several severe injuries when my body “whiplashed” and my head hit the back window of the pick-up truck I was driving. During the course of the following year, I was in therapy every other day and had numerous medical exams to determine the nature of the injury and possible progress of the therapy. The first unusual thing that showed up was a set of X-rays taken by a chiropractor. It showed a strange object that looked like a small straight piece of something that was situated at the front side of two of my cervical vertebrae. The chiropractor was a bit puzzled, but suggested that it was a calcium spur and I needed to have more tests done. He referred me to a neurologist. The neurologist did a thorough series of tests over a period of about three hours, and then ordered a set of MRIs (Magnetic Resonance Imaging). On the night before I was supposed to go in for the MRIs, I woke up in a startled state, feeling like I had been thrown off a cliff. I thought I had bitten my tongue because the only thing I was aware of was a terrible sensation of something crunching in the back of my mouth, accompanied by terrible pain. This pain was so intense that the only thing I could think about in this altogether unusual state of waking up in that condition was to stop the pain. Also, my mouth seemed to be full of fluid, and I assumed I had bitten my tongue so severely that it was bleeding. Now, certainly, this explanation I gave to myself in those first moments of waking up blinded by pain was reasonable. I had certainly bitten my tongue in my sleep a time or two during my life — especially when I was a child. But nothing quite like this had ever happened. Since I was choking on the fluid in my mouth, I struggled to get up and get to the bathroom as quickly as possible. I leaned over the sink and spit out large quantities of blood. Quickly mixing up some warm salt water, I gargled and rinsed my mouth thoroughly until it seemed that the bleeding had stopped. Then, getting a flashlight so that I could see better, I began to examine my mouth to see exactly how much damage was done. What I found was that there was, indeed, an injury in my mouth, but it was at the back of my throat in a place that it was impossible for my teeth to have produced it! The pain was coming from this area, and was so severe that I had initially been unable to distinguish it from my tongue. But, now that things had calmed down a bit, now that the pain was receding, it was clear that it was localized at the very back of my throat. Even though, at this point in time, I was fully aware of the many strange things that were reported by so-called abductees, I didn’t even want to consider such a thing. I kept trying to think of ways I could have injured my throat so severely during my sleep. Nothing seemed to make any sense, and I was left with a mystery. The next morning, the MRIs were duly made. The only unusual thing that showed up on the films was the bulging of several discs that was a result of the injuries sustained in the accident. There was no sign of any strange object at the front of my cervical vertebrae. Several months went by and the case was being passed back and forth between doctors and attorneys and a request came from the insurance company for the films to be sent to another doctor. The only problem was, they seemed to be missing. Now, I never, at any time, had possession of these films. They were being sent around via standard methods of transferring files between medical offices. They had been sent directly to the neurologist who had ordered them, which is where I saw them. He then referred me to a neurosurgeon who wanted to operate on me, but I refused surgery. They were then, supposedly, sent back to the testing institution which was where they were supposed to be filed and kept. This is where they turned up missing. Over a period of two weeks, I was contacted by the three separate medical offices where the films had passed through, each of them asking me for details about where I thought they might be. I was assured that each of them were employing their full staff to search for this expensive set of films. But still, they were nowhere to be found. Finally, since the insurance company was exerting pressure to have them, and since no one could come up with an explanation for what happened to them, it was decided that the hospital where the films were taken — and where they had finally been lost — was obligated to replace them at their own expense. The young lady in charge of this department called me with many apologies to ask me if I would please come in to have a second set made. She explained all the things they had done to try to locate the films, and I could tell that there had been a lot of pressure on her about this because it was a lot of money. I agreed to come in the following morning, and she would fit me in early. She apologized over and over again for the inconvenience. In any event, as I went to bed, I was slightly worried about being able to go to sleep due to the strange events surrounding this loss of the films. After lying down, as I was thinking about the MRIs, there was a sudden sort of blank-out, and then I came to myself suddenly — again coming to awareness like I had been thrown off a cliff — and I realized that there were three spidery type creatures pulling and tugging on me, and it seemed that they were trying to float me out of the bed. What was even stranger was that I was fighting them like crazy. I had a death grip on the brass headboard, and it was like my body was being subjected to a tug of war! One of the creepy creatures was pulling on me by my ankle and I could distinctly feel a sort of cold fuzziness in the grip. The other two seemed to be trying to exert some kind of mind control on me, like trying to use their mental powers to make me submit. All of my body, except for my shoulders and head which were anchored by my grip on the bed, was suspended in air and seemed to be being sucked toward a small window (which I could not possibly have fit through!) and there seemed to be a sort of beam of light coming through this from the outside of the house! The bed was shaking and bouncing with the struggle taking place. I was certainly a bit groggy and disoriented at first, as anyone would be to discover themselves in the middle of a violent fight in which their body is participating, only they haven’t been at all aware of it. It felt like the effects of a sleeping drug was wearing off. As it did, I became more alert and thought to myself, “Oh ho! So abductions do really happen! And here I am, being abducted! Well, guess what? I don’t like this, I don’t want this, and I am not going to cooperate. If those creepy jerks abduct me, it won’t be with my assistance!” In short, I was mad as heck! The creatures seemed to be aware that I was awake and things were rapidly going south. At this point, one of them placed his hand on my head and a powerful paralysis began to spread over me from the head down. This seemed to be causing my eyes to close forcibly, as though the powerful sleeping drug was being re-administered. And then, with every bit of will I could muster, I struggled to curse them out loud. The only thing I actually managed to do was emit a strangled groan. But as I did this, as I achieved even this small bit of mastery over a small part of my physical body, a strange thing happened. With the uttering of this sound, the creatures seemed to become confused and disoriented and began to chatter in strange clicking sounds to each other and they dropped me as though I had become a hot potato! Then, they clustered together like frightened, twittering insects and just melted into a shimmery curtain beside the bed. This shimmering thing was very much like the heat waves you see on the highway far ahead when driving on a hot day. Now, there are several strange things about this event that, I admit, could have just as well have been a sort of dream. One of these things is the fact that I was gripping the headboard with my left hand raised up above my head. What is so strange about that? Well, fact is, my left arm had been severely injured in the accident and was partially paralyzed. I hadn’t been able to lift it much above my waist for over a year much less use it to grip anything at all. I actually had to reach up with my right hand, uncurl my fingers from around the curling tubes of the headboard, and remove my hand and place my arm back at my side because I was unable to perform these small motions with that arm itself! Needless to say, I spent most of the night sitting up in a chair. The next morning, the phone rang at about 7:30 as I was getting ready to go out the door. It was the hospital testing facility, the same young woman I had been talking to the previous day. She told me I didn’t have to come in, that the films had been found. The only thing she could not explain was how, and by whom, they had been found. I was so curious about this strange turnaround of events that I asked questions. It turned out that the films were right there on her desk when she arrived that morning to open up the place. When I asked, “Who could have put them there?” her voice was a bit shaky as she explained that it was really impossible to figure out since she had locked up the night before, no one else could have been there except the janitor, and she was sure he hadn’t put the films on her desk because she asked him. The whole thing is still a mystery. Q: (L) The first thing on my mind is an experience I had several nights ago. It seemed as though there was some sort of interaction between myself and something “other”. Could you tell me what this experience was? A: Was eclipsing of the realities. Q: (L) What is an eclipsing of the realities? A: It is when energy centers conflict. Q: (L) What energy centers are conflicting? A: Thoughts are the basis of all creation. After all, without thought nothing would exist. Now would it? Q: (L) I also seemed to be aware of several dark, spider-like figures lined up by the side of the bed. Was this an accurate impression. A: Those could be described as specific thought center projections. Q: (L) I seemed to be fighting and resisting this activity. Q: (L) At what level of density do these thought centers have their primary focus? A: Thought centers do not have primary focus in any level of density. This is precisely the point. You are not completely familiar with the reality of what thoughts are. We have spoken to you on many levels and have detailed many areas involving density level, but thoughts are quite a different thing because they pass through all density levels at once. Now, let us ask you this. Do you not now see how that would be possible? Q: (L) Yes. But what I am trying to do is identify these conflicting thought centers. If two thought centers, or more, conflict, then my idea would be that they are in opposition. Q: (L) Okay, in the experience I felt a paralysis of my body. What caused this paralysis? A: Yes. Separation of awareness, which is defined as any point along the pathway where one’s awareness becomes so totally focused on one thought sector that all other levels of awareness are temporarily receded, thereby making it impossible to become aware of one’s physical reality along with one’s mental reality. This gives the impression of what is referred to as paralysis. Do you understand? Q: (L) Yes. And what stimulates this total focus of awareness? A: An event that sidetracks, temporarily, the mental processes. Q: (L) And what event can sidetrack the mental processes to this extent? Q: (L) In this particular case, what was it? A: It was an eclipsing of energies caused by conflicting thought centers. Whenever two opposing units of reality intersect, this causes what can be referred to as friction, which, for an immeasurable amount of what you would refer to as time, which is, of course, non-existent, creates a non-existence, or a stopping of the movements of all functions. This is what we would know as conflict. In between, or through any intersecting, opposite entities, we always find zero time, zero movement, zero transference, and zero exchange. Now think about this. Think about this carefully. Q: (L) Does this mean that I was, essentially, in a condition of non-existence? A: Well, non-existence is not really the proper term, but non-fluid existence would be more to the point. Do you understand? Q: (L) Yes. Frozen, as it were? A: Frozen, as it were. Q: (L) Was there any benefit to me from this experience? A: All experiences have potential for benefit. Q: (L) Was there any detriment from this experience? Q: (L) Was one of these conflicting thought centers or energies some part of me? Q: (L) And was it eclipsed by interacting with a thought center energy that was part of or all of something or someone else? A: Or, was what happened a conflicting of one energy thought center that was a part of your thought process and another energy thought center that was another part of your thought process? We will ask you that question and allow you to contemplate. Q: (L) Does it ever happen that individuals who perceive or think they perceive themselves to have experienced an “abduction”, to actually be interacting with some part of themselves? A: That would be a very good possibility. Now, before you ask another question, stop and contemplate for a moment: what possibilities does this open up? Is there any limit? And if there is, what is that? Is it not an area worth exploring? For example — just one example for you to digest — what if the abduction scenario could take place where your soul projection, in what you perceive as the future, can come back and abduct your soul projection in what you perceive as the present? Q: (L) Oh, dear! Does this happen? A: This is a question for you to ask yourself and contemplate. Q: (L) Why would I do that to myself? (J) To gain knowledge of the future. A: Are there not a great many possible answers? Q: (L) Well, this seemed to be a very frightening and negative experience. If that is the case: a) maybe that is just my perception, or b) then, in the future I am not a very nice person! (J) Or maybe the future isn’t very pleasant. And the knowledge that you gained of it is unpleasant. A: Or is it one possible future, but not all possible futures? And is the pathway of free will not connected to all of this? Q: (L) God! I hope so. Q: (L) Okay, when this experience occurred, am I to assume that some part of myself, a future self perhaps, of course they are all simultaneous but just for the sake of reference, came back and interacted with my present self for some purpose of exchange? A: Well this is a question best left for your own exploration, as you will gain more knowledge by contemplating it by yourself rather than seeking the answers here. But a suggestion is to be made that you do that as you will gain much, very much knowledge by contemplating these very questions on your own and networking with others as you do so. Be not frustrated for the answers to be gained through your own contemplation will be truly illuminating to you and the experience to follow will be worth a thousand lifetimes of pleasure and joy. What can we deduce about the Eclipsing of Realities discussion? The first thing that occurs to me is a result of a conversation I had with an individual who visited me a few days ago. There are a number of events in my life that I am not yet ready to talk about publicly, but which I shared with this lady in the course of our discussion.1 At one point, she made the remark that, in her opinion, my life experiences had been a sort of microcosmic example of the battle between the forces of good and evil — that my very physical body, soul and mind had been the battleground. It was her opinion that the “good guys” had won because, in the end, all the physical, mental and spiritual destruction that had been effected against me had been healed, reversed, and/or restored to proper function and balance. This is, in some sense, true. But, what does it mean if we wish to apply it globally? Or even just for some others? I was told to contemplate the issues involved and that “answers to be gained through your own contemplation will be truly illuminating to you and the experience to follow will be worth a thousand lifetimes of pleasure and joy”. A: Because of already given data that is elementary my dear, Martin, elementary! Q: (L) I am not Martin anymore! So there! A: You are in an alternate reality. Martin was my former married name. So, when the realities eclipsed, some sort of choice was made at a deep level as to whether I was going to continue to live in STS-oriented wishful thinking that all would become “love and light”, if I just kept trying to “fix it”, which constitutes the ongoing condition of being food for higher density beings; or if I was going to open my eyes and see. It seems that my choice to resist the activity taking place was the symbol of the shift that then began to manifest in my ordinary life as life-changing choices. What if the abduction scenario could take place where your soul projection, in what you perceive as the future, can come back and abduct your soul projection in what you perceive as the present? It seems that, if I had continued in the old life, the wishful thinking subjective version of reality, where I was still Martin, I would have progressed to a point in space-time when I became those horrible creatures that were trying to abduct me (through the incarnational processes, of course)! Now, I did not change my reality by visualization, or affirmations or any of the standard teachings about creating your own reality. In fact, if anything, I did exactly the opposite. What actually happened was, I opened my eyes and I completely lost hope in the world as it is ever being anything other than full of darkness and deception and horror and pain, and I chose to continue to live in this world, to do what I could, but not be “of the world”. I wonder if this was what Don Elkins saw? If so, it is indeed sad that he did not have the information about how this state is essential, how this state can be used by dark forces to derail the spiritual seeker who must go through it in order to be “born again”. How does one become born again”? It is just as traumatic as being born the first time, if not more so! Taking my first breath in the new reality, I made a conscious choice to limit my participation in this deception foisted on mankind. I consciously decided that I was no longer going to lie — to myself or to anyone else — about how I felt or what I wanted. I was no longer going to lie about what I liked or didn’t like or what I did or did not want to do. I was no longer going to lie to myself that my suffering and sacrifices had any benefit for anyone whatsoever; because it was clear to me that this was not true. It was all an illusion or delusion. In short, I was no longer going to lie to myself about reality at all. When I looked at a flower I was going to remember the decay and death in the soil from which the flower drew its nourishment. When I looked at a cat or a dog, I was going to remember the fleas and parasites and killing and eating of other creatures that goes on all the time in the animal world. When I looked at a beautiful and peaceful lake, I was going to remember the loads of disease causing organisms multiplying prolifically beneath the shining, mirrored surface. Sounds pretty bizarre, yes? But it had a strange effect. Because I was no longer lying to myself about anything that existed, least of all myself, my nature, my being, I was free to choose what to manifest in every instant. Knowing that all of these shadows existed within me, in my very DNA, my flesh, my evolved self; knowing that I had experienced many lifetimes dealing death and destruction on my own, or suffering the same at the hands of others, I was free to choose. And further, I knew that the choice was free! If I had chosen to follow the path of STS, to dive back into the illusion, there would be no blame. As Ra said: The ALL blinks neither at the darkness nor at the light. There was no longer any blame for anything. It was just what is. This is nature. This is God. And God has two faces: Good and Evil. We can love them both, but we can choose which face we manifest, while always loving unconditionally both faces. Terrible. Encantadas, those heaps of extinct volcanoes, in time to witness the hatching of the sea turtles and their desperate flight to the sea! The narrow beach, the color of caviar, was all in motion! But the sky was in motion too… Full of flesh-eating birds and the noise of the birds, the horrible savage cries of the — carnivorous birds… Over the narrow black beach of the Encantadas as the just hatched sea-turtles scrambled out of the sandpits and started their race to the sea… to escape the flesh-eating birds that made the sky almost as black as the beach! There I was, having my own “sea-turtle” experience and yes, I was sick for a long time after. What happened was, my entire system nearly shut down completely. It is curious to me that, faced with the destruction of every fairy tale I ever believed in about the world, I couldn’t cry. At least not in the regular way. The pain was far too deep for ordinary tears. I literally cried blood. My eyes swelled up with inflammation that did not respond to medical treatment of various sorts that were tried. (I even went to a specialist, and nothing helped.) My eyes constantly poured what is called sero-sanguinous fluid — blood and serum — in such quantities that it ran down my cheeks continuously for weeks. I really understood what it meant to say, “Let this cup pass from me!” I was looking at reality, and it nearly killed me. …Is it one possible future, but not all possible futures? And is the pathway of free will not connected to all of this? A: That was your choice… Be not frustrated; for the answers to be gained through your own contemplation will be truly illuminating to you, and the experience to follow will be worth a thousand lifetimes of pleasure and joy. Now, we are brought back face to face with our objective view of reality and our free will. I knew I was “Seeing God”. But, in the end, my choice was to love Him anyway. More than that, my choice was to make manifest those aspects of God in myself, that were of Love and Beauty and Truth as a free will choice. I was not choosing out of fear, even a hidden fear, such as is present in most people who adhere to the love and light routine and eschew any knowledge of the darkness. If one were present at such an event as the hatching of the turtles, would it be right to rescue the turtles, to kill or scare away the birds? Both represent aspects, or Faces, of God, and both have a right to exist in their own context and to survive in their own way, so it would be wrong to interfere. But I would be hoping that some of the baby turtles would have the sense to wait until dark to make their dash to the sea! Perhaps I might walk back and forth along the beach to act as a “scarecrow” against the devouring birds. Perhaps that is how knowledge can work in our lives? Perhaps that is how the Cassiopaeans relate to us — only with somewhat more complexity. When you love your cat or dog, do you love them less for eating or killing other creatures? So what that he doesn’t need to do it in his nice, warm, human home where dinner comes in a can. Leave him outdoors and on his own for a bit and he will soon enough eat whatever is there. Will you then reject him, love him less, or pretend that he — and dogs in general — do not exist? Is this consuming aspect of our reality less acceptable when it reaches a conscious level, such as that of human beings? Are we not still to love all that exists as part of Nature, as part of God, and to accept it and allow it to be as it is — even while managing the delicate aspect of ensuring our own continuing right to exist and be? And, if we do this, and further, if we choose to limit our participation in the consuming aspect to as great a degree as possible, can we think that we have learned one of the most valuable lessons of our reality? The lesson of what Love truly is? That Love is to love ALL, unconditionally, with no need or desire to change anything? That only in this state of Love — objective Love — can we truly have Free Will? In point of fact, that is the true meaning of the much-touted “unconditional love”. If you are going to love anything or anybody in spite of what it is or what they do, thinking that your love changes something, then you do not love unconditionally. You are loving your illusion of what might be, not what is. Further, loving unconditionally means to love the self in the same way. If your “unconditional love” of another means that you must act in any way other than what is authentic to you, then you haven’t gotten it. Further, if this other person does not love you in the same way, allowing you to be fully accepted as you are, and you think that by continuing to hold them close and love them unconditionally, that they will finally figure it out and change, then you have already violated the law of unconditional love. In terms of daily living, you can only live in unconditional love with another who understands it in exactly the same way you do. Thus, I made the decisions I made, acted on them, and the result was nothing short of amazing. Now, how does this apply globally to our question? It means that in the upcoming times, we may be very much like the newly hatched turtles on the Encantadas. There are beings all around us who are like the ravenous, carnivorous birds. We do have a chance to get to the sea. What’s more, with awareness, we can do a lot more than that! We may, in fact, with growing awareness, be able to change one probable future to another. Why would there be so much deception in our world if it were not for the fact that there is some quality, some aspect of ourselves that the ones who seek to keep us blind and unaware wish to keep hidden? Why else would there be such a plethora of teachings in the present day that tend to soften and weaken our resistance by appealing to our love of ease and comfort and status quo? Further, why is the teaching about Love, itself, so horribly distorted? Q: (L) Mike Lindemann3 has proposed that we submit the channeling to “rigorous testing”. A: Mike Lindemann does not channel, now does he? What sort of rigorous testing does he propose? A: Precisely, now what does this tell you? Q: (L) It tells us that he wants proof. A: Third density “proof” does not apply, as we have explained again and again. Now, listen very carefully: if proof of that type were possible, what do you suppose would happen to free will, and thusly to learning, Karmic Directive Level One? Q: (L) Well, I guess that if there is proof, you are believing in the proof and not the spirit of the thing. You are placing your reliance upon a material thing. You have lost your free will. Someone has violated your free will by the act of proving something to you. A: If anyone CHOOSES to believe, that is their prerogative! And what would constitute proof? Q: (L) Predictions that came true, answers that were verifiable about a number of things. Physical phenomena. A: Those would still be dismissed by a great many as mere coincidences. We have already given predictions, will continue to do so, but remember, “time” does not exist. This is a 3rd density illusion. We do not play in that sandbox and cannot and never will. The primary reason for our communication is to help you to learn by teaching yourselves to learn, thereby strengthening your soul energy, and assisting your advancement. Q: (L) Are you saying that your primary reason is just to teach us? This small group? A: Because you asked for help. Q: (L) So, you came through because we asked. Is this material being given to others, or is it designed to or intended to be shared with others? A: If they ask in the necessary way. Otherwise, the sharing of the messages we give to you will teach millions of others. Q: (L) What is the “necessary way”? Q: (L) Well, it took all our lives and a lot of hard work. A: Okay, now what did we mean when we referred to “millions of others”? Q: (L) Are you saying that this information will be transmitted in some way to millions of others? Q: (L) Well, the only thing I can think of is through writing. Q: (W) That’s a lot of work. A: The work has been ongoing, W! A: All will be taken care of, and no, W! Q: (W) Well, I was thinking of the time frame and so many things are getting ready to happen any time now. It seems like the information needs to get out there soon, or it will be obsolete. A: Prejudice serves no purpose! Also, who says that the information is going to be obsolete? Wait and see. A: We wish to reiterate something further on this subject A***, and for anyone else in need of the following message: we are not communicating with you in order to “prove” our existence. If one has faith and is willing to learn, to explore new realms and to discover what will one “day” be commonplace awareness profile, then no “proof” is necessary. If, on the other hand, one is of the opposite psychic orientation, then no amount of proof is adequate. Q: (L) I think that the most important thing that has come out of this channeling is that sometimes the C’s sort of trick me into trying something and they pique my curiosity and I go out and do something that results in a learning experience that is truly awesome. And the important thing is, getting out and doing the work actually makes you stronger. And, like you just said, each time you make the choice to not go after the answer yourself, to try and get it the easy way, it makes you weaker and lessens who you are. It is sort of a nonlinear principle that can lead to all kinds of things. If they gave us all the conceptual truths, we would have lost something huge in the way of strength and free will. Like those sources that supposedly gave the secrets of the bomb… and other sources that just give and give all sorts of things and you can clearly see the deterioration of those involved… (F) Yes, and the crucial point is the robbing of free will initiative. (L) So, it is a very subtle thing. A: Have we not already indicated? Knowledge is power. If we give it to you like Halloween candy, it is diffused. Combine energies in pursuit of answers, and the rest falls into place. You and Arkadiusz are complementary souls. Karmic Destiny Level One Mission. Relating this to the Eclipsing of Realities, it seems that from the descriptions of The Wave, it must be a macro-scale Eclipsing of the Realities. It has been described in many of the same terms as my own experience that resulted in changing my reality. If that is the case, and resistance was my choice, and that resistance resulted in the seeding of a new state of existence, would it then follow that similar actions in regard to the future of the human race could have the same effect? The [spider-like beings] aspect might have been there to provide you with the experience to “nudge” you in the direction you are upon to provide yet again, balance; and this may have been actually a necessary contribution to obtain it. Thus, by being presented with the objective truth of our reality, are we not being nudged to make a choice? And if, in fact, we do actually get invaded by aliens, will that not also be an experience that stimulates choice? The question becomes: why are we supposed to be building strength of soul and will and awareness if we are not supposed to do something with it? I leave you with that question. 1 I have since written about many of these things in my autobiography, Amazing Grace. 2 Tennessee Williams. Suddenly Last Summer (Huffer, 1958). 3 The most recent “bio” on Mike tells us: “From Dec 1994 to June 2000 he was editor and publisher of the online journal CNI News (www.cninews.com), reporting the latest in UFO research and the scientific quest for life in the universe; and from Jan 1999 to May 2000 he was editor and publisher of Global Situation Report (www.gsreport.com), covering events and trends shaping the new millennium. He discontinued those publications in June 2000 in order to join a new media company called Project Voyager (www.projectvoyager.com) that will focus on global trends and the human future. Michael is also author of the book UFOs and the Alien Presence: Six Viewpoints (1991; revised edition 1997) and has been a featured speaker at scores of UFO conferences across the U.S. and abroad. 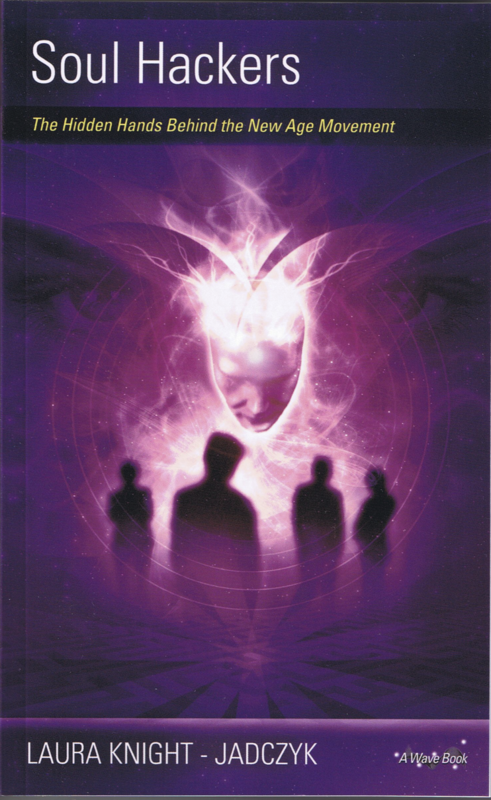 In October 1998 and again in July 1999, Michael co-organized and participated in a private think-tank project called the Contact Planning Sessions, in which business executives, NASA scientists, military officers, academicians, media professionals and futurists came together under confidential conditions to discuss the real social and political outcomes of contact with extraterrestrial intelligence. Michael has a passionate side interest in the planet Mars and plans to visit the moon as a tourist by the year 2020, preferably with his wife Deborah Lindemann, a professional hypnotherapist.” (projectvoyager.com) My own opinion is that he may very well be part of the COINTELPRO of the New Age Movement.